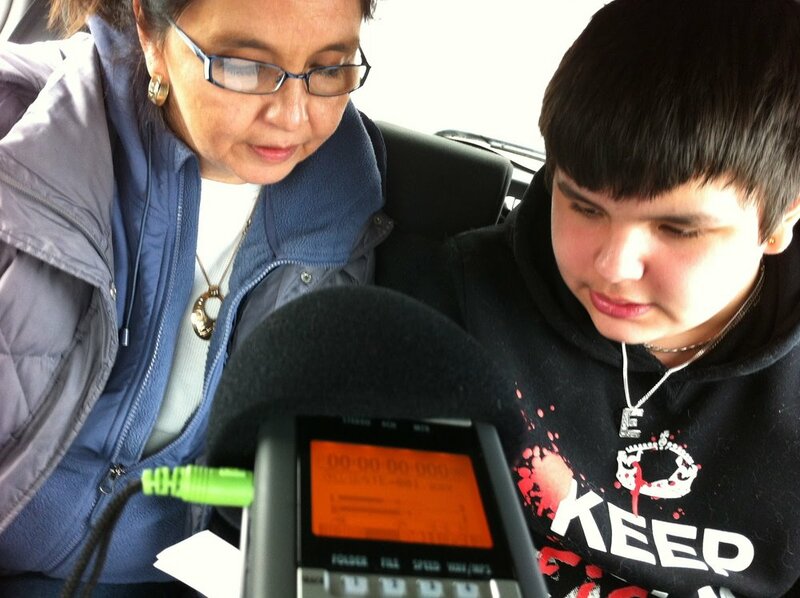 We had more special guests today... Eli's mom, Rhonda, came and helped Eli and Dorian with their Haida pronunciation. And Lisa (Rayne's Mom) came back for the final recording! THANK YOU! Other than language, we also had a whole lot of editing and animating!